Last weekend I had a lovely kids party for some of my mum friends and their children. 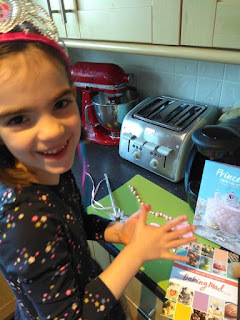 I held a Princess Party with the help of Baking Mad . 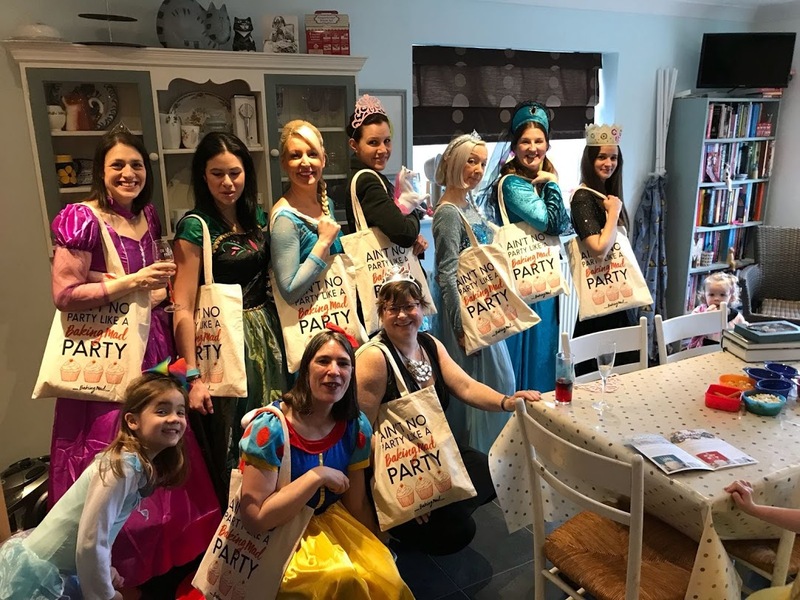 They do a one stop party shop where you can choose from a range of party themes - Superheroes, Peter Rabbit, Unicorn, Pirate and Princess. 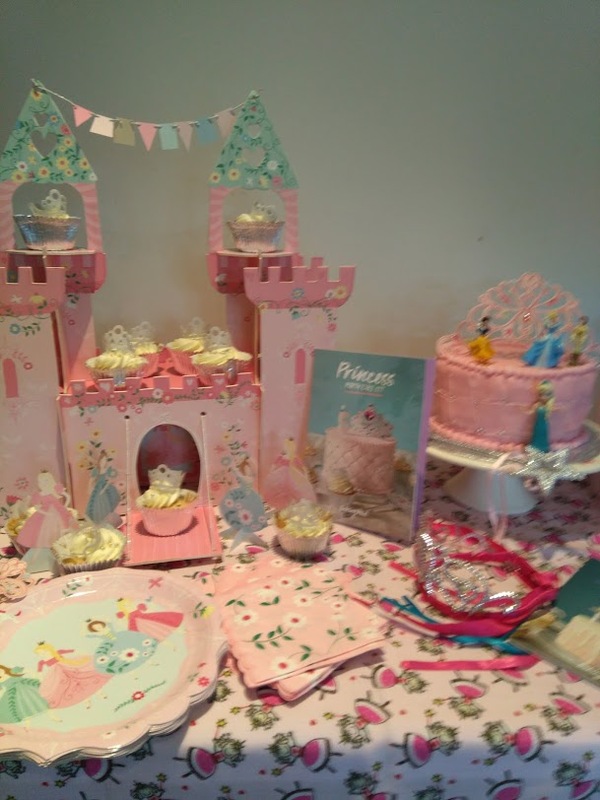 I was also sent some of the extra items that you can have to compliment your Princess party and these were Cake Plates, Napkins, Crowns, Party Bags and a stunning Princess Castle centrepiece which was amazing!! All the girls were playing with it! 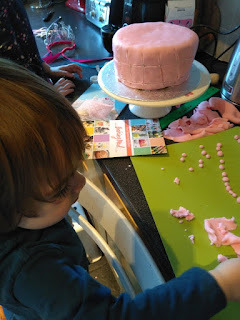 Included in the Baking Kit are step by step instructions on how to make your centrepiece - So Molly and I got to work in the kitchen to make it! 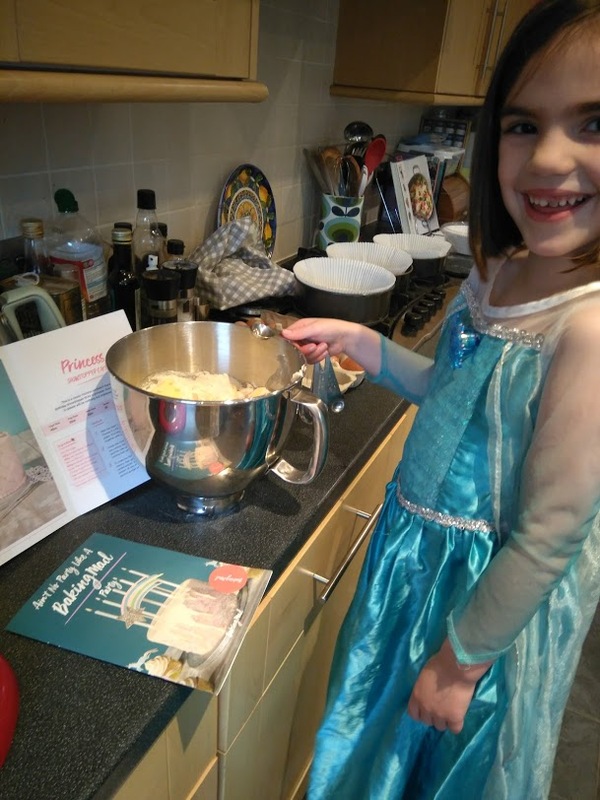 Of course dressing up as a Princess whilst you are making the cake is optional! Once the cake was baked and cooled then we got on with the decorations for it - Now I love to bake but I stay clear of fondant icing as I can't seem to get it to work ! I think it's mainly because I am too impatient and not at all neat - so this was a real challenge for me - I roped in the help of Molly and Henry and we got to work! I was pleased at how it turned out for a first attempt but I think I could do with a little more practice ! 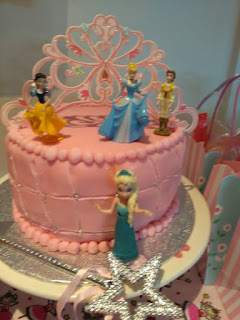 I cleverly hid the odd looking bits with the princesses! 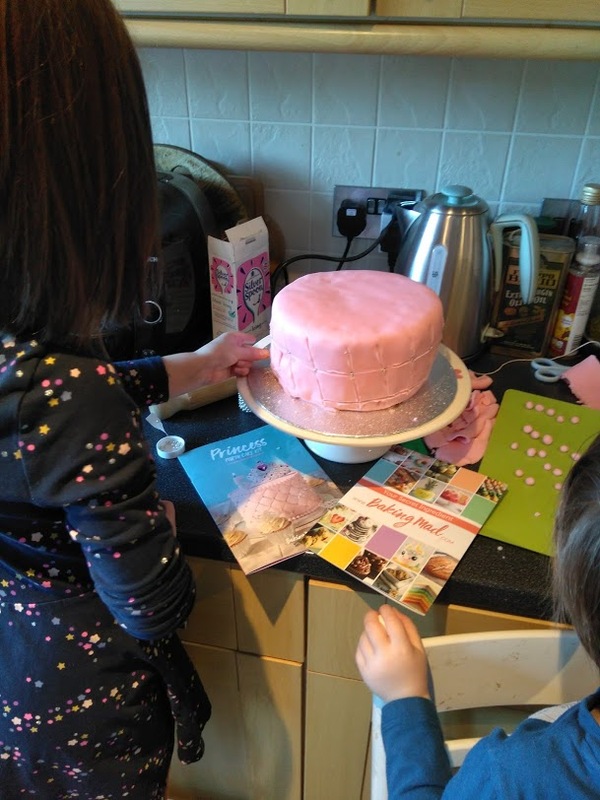 So that was the cake made ! Then we just had to wait for the guests! We had 9 mums and 12 children over and the majority of them dressed up! I was so pleased! Any excuse to dress as a Princess! The kids played pass the parcel and a few rounds of musical statues and then we had the Cake and the Cupcakes. 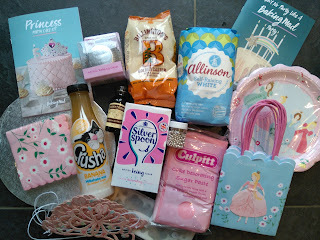 And the lovely people at Baking Mad kindly gave all the mums a goody bag each which was a lovely touch. Overall I would say that these baking kits are a great idea - almost everything is included - I would have liked the eggs and butter to be included as well and maybe a selection of different styles that you could make for the cake so that you could choose an easy or more challenging version. With thanks to TalkToMums and Baking Mad for the opportunity to test these products and have a fabulous Princess Party! Well its been a while! Life with 2 children makes it hard to do anything! Not that I am complaining really as I love it! Of course they look like Hello Kitty ! I have been reviewing Pampers Baby Dry on behalf of SuperSavy Me a website that offers reviews and opportunities to try new products. So I entered to try the Pampers Baby Dry nappies and was lucky to have been chosen to try them out or rather Henry was trying them. I normally buy the cheapest nappies that are about and this is usually a supermarkets own brand so it was great to try something that I don't normally use. So what did I think? To be honest I was very impressed. Firstly they are a lot slimmer and less bulky than other nappies I have used so putting trousers over them was a lot easier! They also feel really soft so they feel nice against your little ones derriere!. Finally they were great for nights . They kept Henry dry all night long and didn't leak which is a bonus! Overall I was really pleased with them and shall be using them as my first choice now. Thanks to SuperSavyme for the opportunity to try them. So an end of an era.... 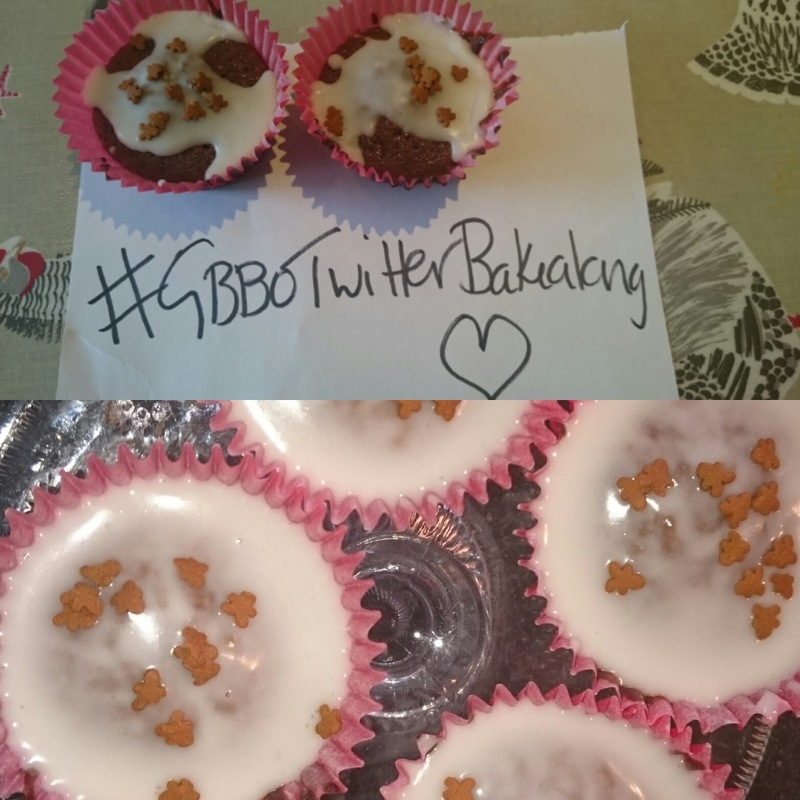 The bake off as we know it is coming to an end. I am very sad as I love the bake off - it works perfectly with Paul and Mary and cheeky Mel and Sue. Not sure what the new version will be like next year but I am sure that I will watch it! This year I decided to have a go at a few of the technical challenges and some of the bakes..... It was hard work doing this each week so I missed a few of them! I also joined in with the Twitter peeps which was fun as there were some lovely comments.. I am starting to get the hang of this Twitter thing ! So for the first challenge I made some Jaffa cakes. They looked simple to make and they were and I would probably make them again and this time try to make them neater! It was a bit fiddly getting the chocolate on and the kitchen looked a nightmare! This was a classic Lemon Drizzle cake - my favourite! In Hindsight I realised that I made these too large! They tasted lovely but were very rich you could only eat one!! The next challenge was Gingerbread houses and I didn't have time to make these! So I made some Gingerbread cupcakes with lemon icing sprinkled with mini gingerbread men. These were very easy and delicious and would make them again. Next up was a Bakewell Tart - again one I haven't made before, I'm not too keen on the icing so I did a 'drizzle' effect! I missed out a few after this as I couldn't keep up! wasn't too keen on Bread Week so made this delicious Chocolate and Orange Brioche. I couldn't believe how easy it was to make! It was a bit time consuming but I quite liked making it in stages .. This is definitely one that I would make again it was light and melt in your mouth tasty..
Hello! I found this in my drafts it is about a year old now! Molly looks so little! I remember these biscuits, they were delicious and I have made them a few times - I made them for a cookie swap that I was involved in last year . The recipe is from Nigellas Christmas book. Molly thought they were good! · Beat in the flour, baking powder , salt and oat mixture, then fold in the cranberries, pecans and chocolate chips. · Roll tablespoonfuls of dough in your hands to make balls and put on the baking tray and squish the dough with a fork. · Bake for 15 mins. Claire has read 6 books toward her goal of 55 books. Claire has read 11 books toward her goal of 30 books. Claire has read 3 books toward a goal of 25 books.